Copper Toxicity is a condition that is increasingly common in this day and age, due to the widespread occurrence of copper in our food, copper fungicides, e-cigs, Copper IUD's, hot water pipes, along with the common nutritional deficiencies in Zinc, Manganese and other trace minerals that help keep levels of Copper in balance. Birth control pills increases a woman's risk of having a Copper toxicity condition due to the effect that estrogen has on the body, increasing copper retention in the kidneys. Estrogen stimulates similar receptors to Aldosterone receptors in the kidneys, increasing Sodium, Copper and water retention. Both estrogens and Aldosterone can increase swelling, Cyst formation, increasing the blood volume which can cause hypertension, stroke, or death if the Liver and Adrenal glands are not able to regulate these hormones in the body. Mercury, Aluminum, and Cadmium will also buildup in the Soft tissues, as a result of Copper competing with Zinc in many enzymes and binding sites in the body. Metallothionein is the number one heavy metal binding protein in the body. Glutathione is also a very important heavy metal and free radical scavenging molecule and its production levels will also decline when too much Copper gets stored in the cells and soft tissues of the Liver. This is due to the way that Copper ions build up in the Mitochondria of your Hepatocytes (Liver cells), leading to a reduction of ATP cellular energy production. While you mitochondria need Copper to oxidize glucose into ATP via the Copper-dependent enzyme "Cytochrome C Oxidase", too much Copper will result in Copper overload in the Mitochondria, which will deform and damage the mitochondria, leading to mitochondrial degeneration. This will reduce ATP cellular energy available to the rest of your liver cells, and the production of Glutathione (GSH) will decline, as will all Liver enzyme pathways. This will lead to a reduction of the Liver enzyme pathway Type 1 deiodinase, which is responsible for converting inactive Thyroid hormone T4 into the active form T3. As Copper builds up in the Liver and in the Mitochondria, it stands the risk up slowing down the conversion of Thyroid hormones into its active form, which can be an underlying mechanism for Hypothyroidism. Other sources of chemicals which mimic estrogen, known as xeno-estrogens, may also increase the retention of copper. These include pesticides, plastic bags, Volatile organic compounds (VOC's), growth hormones used on animals, and all petrochemical waste products used in the manufacturing of plastic, gasoline and other petrochemical derivatives. These are all referred to as Xeno-estrogens. Copper is a very stimulating mineral to the nerves and nervous system. Copper increases the production of norepinephrine, adrenaline, and is also implicated in a decrease of histamine which also acts as a neurotransmitter in the brain. 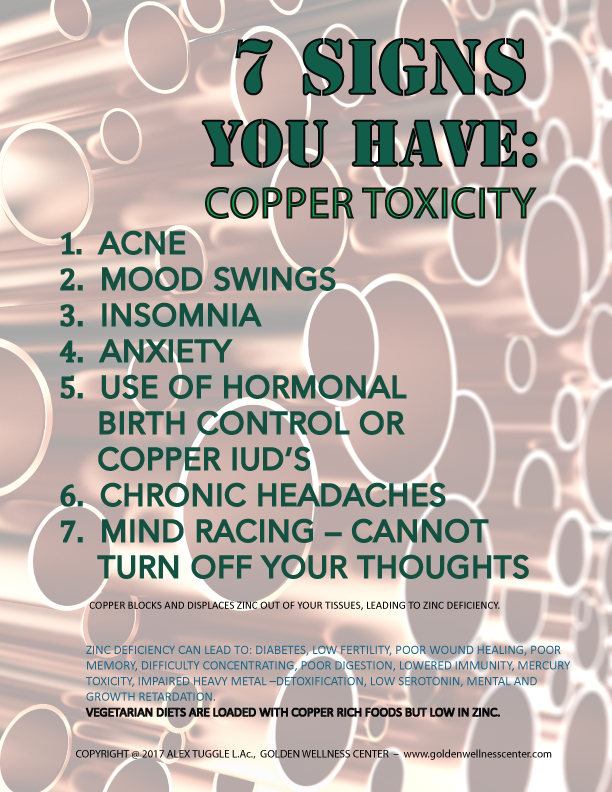 The effects of Copper on neurotransmitter levels can give rise to many psychological imbalances such as mood swings, depression, mental agitation, feeling over-stimulated, restlessness, anxiety, insomnia and a racing mind with too many thoughts are all hallmarks of elevated Copper toxicity. Mood swings, depression, mental agitation, feeling over-stimulated, restlessness, anxiety, insomnia and a racing mind with too many thoughts are all hallmarks of Copper toxicity. Elevated Copper levels in the body acts like a stimulant as it is constantly leading to the conversion of dopamine into norepinephrine by driving "Dopamine-beta-Hydroxylase". This will lead to "Fight-or-flight" signals in the Amygdala of the brain, producing a constant adrenaline rush to help you be on the go, but you also are unable to settle down or turn off your mind. Copper is a necessary component in the manufacturing of ATP (Adenosine triphosphate) which is cellular energy. Low levels of Copper is associated with chronic fatigue. When someone has a Copper toxicity condition, they will most likely also have a concurrent Copper deficiency due to a bio-unavailability. Copper must be bound to special binding proteins, Ceruloplasmin and Metallothionine, in order to be able to get into the cells where it can be used by the Mitochondria to make ATP energy in the Kreb's cycle. These proteins Ceruloplasmin and Metallotionine are made in the Liver upon receiving a signal from the Adrenal glands to produce these proteins. If there is a dysfunction with either the Liver or the Adrenals, or if there is just not enough Zinc in the body (Zinc is needed to produce all proteins in the body, especially Metallotionien), than these two proteins will be lacking and free and unbound Copper will begin accumulating in the blood. The Copper cannot get into the cells to make ATP. Copper is now in a toxic and unbound form in the blood, agitating all of the tissues and creating many free radical type of reactions. Toxic Copper must be removed from the blood immediately so this Copper begins to build up in the soft tissues of the Liver, brain, thyroid, ovaries, skin, joints, nerves and all other soft tissues. Zinc is needed in healing of wounds and scar tisse and all tissue repair, especially post operative healing. When the mind and body is faced with mental, emotional or physical stress, the nervous system responds by switching to the Sympathetic nervous system also referred to as the "fight or flight" stress reaction. This "Fight or Flight" stress reaction requires a jolt of quick energy to give us the adequate resources to be mentally alert and capable of handling the "Danger" which this stress mechanism was designed to protect us from. The Adrenals provide this energy in the form of Adrenaline, Cortisol, and Aldosterone. Aldosterone works by increasing the retention of Sodium and Copper in the Kidneys, which are minerals that provide that quick energy and mental alertness needed for the stress response. At the same time, Aldosterone causes an increase in the elimination of Zinc and Magnesium due to the fact these two minerals have a calming and sedating effect on the nervous system. Your body has no need for calming and sedating minerals when it is preparing for a fight or quick escape. Under normal circumstances, this temporary rise in Copper and Sodium and concurrent decline in Zinc and Magnesium is very useful in responding to a distressing situation, and the body chemistry is balanced quickly after the danger has passed. However, with repeated stressors and stress responses occurring on a daily basis for weeks, months and years, this Biochemical pattern becomes more and dysfunctional and increasingly difficult to reverse. The stimulating effects of Copper on the Adrenal glands is partly the reason why Copper is so agitating to the nerves, brain, and tissues. When the Adrenal glands are constantly being stimulated by stress, the body retains Copper and eliminates Zinc. Zinc is necessary for the removal of all toxic heavy metals including Copper, and is also necessary for the production of calming neurotransmitters in the brain such as Serotonin and GABA. When the brain starts becoming saturated with Copper but is lacking the necessary neurotransmitters to calm the brain, the mind becomes very agitated and is prone to severe mood swings and the mind and body generally feels agitated, making it very hard to relax. These stress reactions in turn cause an even greater increased retention of Copper and a continuing decline in Zinc and Magnesium levels throughout the body. Since Zinc is needed to create the proteins Ceruloplasmin and Metallothionein which make Copper bio-available and non-toxic, this Zinc deficiency causes a Copper toxicity which builds up first in the Liver, then the Brain, skin, nerves, muscles, ligaments, connective tissues, etc. This lack of Zinc and Magnesium is in itself somewhat agitating to the brain and nervous system since they act to sedate and calm the mind. Coupled with the agitating effects of Copper toxicity in the brain, you now have a biochemical pattern that readily produces Stress reactions which continue to stimulate the Adrenal glands to produce more Aldosterone, Cortisol, epinephrine and norepinephrine. Copper is also very stimulating to the brain and causes the over-production of the stimulating neurotransmitters epinephrine and norepinephrine, causing manic behavior, paranoia, anxiety, Bipolar disorder, and even Schizophrenia. When the Adrenal glands are always being stimulated by stress reactions and Copper toxicity, constantly being called upon to produce hormones like cortisol, aldosterone epinephrine and norepinephrine, after a while your Adrenals become depleted in energy and your cortisol, aldosterone and adrenaline levels begin to decline. Cortisol is the main anti-inflammatory compound in the body, so if the production of cortisol declines, you end up with all sorts of chronic infections, and chronic inflammatory diseases. 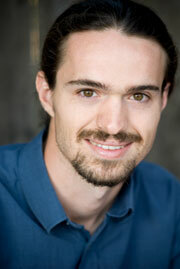 And since Copper is also very agitating to the tissues like the nerves and skin, inflammation of all types increases. Cortisol is also the main Gluccocorticoid responsible for maintaining Blood sugar levels. Cortisol maintains blood sugar levels by converting fats and proteins into glucose. When there is an insufficient amount of Cortisol, the risk of having a Hypoglycemic attack. When blood sugar levels drop severely, that again puts the body into a state of panic, which puts the nervous system into that same old "fight or flight" reaction. This can also lead to a perpetual cycle of Stress, decreased Zinc and Magnesium, increased Copper toxicity, more Adrenal Fatigue, low levels of Cortisol, Hypoglycemia and Blood Sugar swings. This creates a situation where you have intense Sugar cravings as you panic to try to raise your blood sugar. creates yet another Stress reaction as our Adrenals are stimulated by the large quantities of Sugar entering the blood all at once, instead of the preferred steady trickle. The body immediately starts producing and releasing Insulin in the Pancreas to get the Sugar out of the blood as quickly as possible. Elevated Blood sugar levels degenerate all of the tissues and is the reason why Diabetes is such a deadly disease and causes blindness, gangrene, loss of limbs, nerve degeneration, numbness, kidney disease and death. Sugar in large quantities is a toxic substance. Sugar, like all Toxins such as Heavy Metals, Copper, Mercury, Aluminum, etc., food preservatives, alcohol, household cleaners, VOC's (Volatile Organic Compounds), bleach, and other industrial chemicals in our environment, all cause a Stress reaction in the body. This stress reaction over-stimulates the Adrenal glands again (Zinc and Magnesium declines, Copper and Sodium levels rise) giving us the sense of increased energy. Many people who have Adrenal Fatigue rely on toxins such as Alcohol, Sugar, and the toxins in the environment to stimulate the Adrenals to produce a stress reaction which will give us the False impression of Energy, when in fact we are completely burned out. Copper and other Heavy Metals which have accumulated in the body will continue to create internal Stress reactions which both stimulate the release of energy and also continue to deplete our stores of energy. These internal Toxins become sources of stress and agitation that prevent the Adrenal glands from ever truly relaxing out of the "Fight or Flight" sympathetic nervous system, and into the Recovery mode of the Parasympathetic nervous system, which is needed for sleep and digestion and truly regenerating our energy. Copper Toxicity makes it impossible to completely relax. If you can never rest deeply into the Parasympathetic branch of the ANS, and allow your Adrenal glands to rest and heal Copper overload can continue to overstimulate the Adrenal glands into Adrenal Burnout. Copper will remain unbound in the blood due to deficinecy of Ceruloplasmin and other Copper-binding proteins and therefore gets stored in the cells and soft tissues of the Liver, Brain, joints, nerves, muscles, skin, hair, retina of the eye, uterine liing and other tissues throughout the body. Copper Toxicity continues to agitate the mind, nervous system and Adrenal glands, keeping the nervous system in a perpetual state of "fight or flight". The mind and body are unable to relax due to agitating effects of Copper toxicity, the lack of Zinc and Magnesium, an inability for Zinc to help create calming neurotransmitters in the brain, and the Adrenal fatigue which causes an inability to relax out of the sympathetic nervous system into the parasympathetic nervous system. This causes symptoms such as Insomnia, Anxiety, intense emotional behavior, Bipolar syndrome, mania, PMS, even psychological disorders such as Schizophrenia, Borderline Personality and Major Depressive Disorder. Adrenal fatigue alone can cause Depression as the body is unable to perform the many tasks that modern society demands of us. So we turn to stimulants such as Coffee, chocolate, sugar and even Stress itself to give us a quick rush of energy, so we go numb to how tired we really feel. It can become very hard to stop using these stimulants since the Adrenal fatigue, which lies underneath this false energy, can feel so debilitating. If we don't give the Adrenal glands a chance to rest and regenerate, they will continue to under-perform and the production of Cortisol and Adrenaline will continue to decline. This will severely reduce the production of Ceruloplasmin and Metallothioneine, which as I stated previously, are the necessary proteins needed for proper binding of Copper in the blood. Unbound Copper cannot get into the cells, so things like ATP energy production and collagen production will decline without proper levels of Ceruloplasmin. Unbound Copper cannot get into the cells, so important metabolic pathways in the Mitochondria will breakdown. ATP energy production and collagen production will all decline without proper levels of Ceruloplasmin binding up free and harmful Copper. Because estrogen increases the retention of Copper in the body, many women who take Birth Control pills to control their PMS and pre-menstrual symptoms, menstrual cramps and acne are actually creating an environment within their bodies which will exacerbate those exact symptoms. Both Copper and Mecury can accumulate in the Thyroid and Liver and can cause Hashimoto's Thyroiditis or block the conversion of T4 into T3, the active form of Thyroid hormone. Increased Estrogen levels can block the conversion of T4 into T3 as well by congesting Liver metabolic pathways and increasing Thyroglobulin levels. Hypothyroidism is more common in women, in part due to the effects of estrogen on the bioavailability of Thyroid hormone. Low thyroid action results in a slower metabolism with weight gain, fatigue, low immunity, and feelings of cold. All of these metabolic pathways can become sluggish when there is too much free copper being stored in the tissues of the Liver. This slowing down of the Liver's metabolic functions will have an effect of slowing down the conversion of T4 into T3, which will in turn cause the whole body's metabolism to shut down even more. Can all appear as a consequence of too much Copper being stored in the Liver, and this will compound the issue of too little Ceruloplasmin and Metallothioneins being produced. 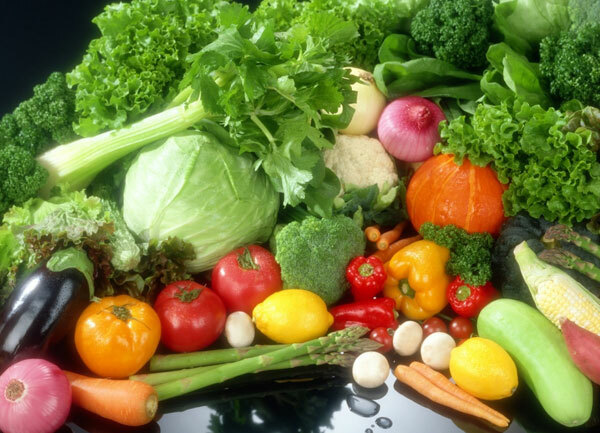 Avoiding a vegetarian diet is recommended to help recover from Copper toxicity as well as prevent it from occurring. The only foods that have an adequate amount of Zinc (which can help eliminate and counterbalance Copper toxicity) without also having a high level of Copper as well are red meat (best source) such as beef, lamb, and venison, chicken, eggs and pumpkin seeds. This is why many vegetarians have Copper toxicity and Zinc bio-unavailability to some degree. This can make people "spacy", over-emotional, and generally lower fertility rates in both men and women. When choosing what kind of meat to buy, it is always best to buy Organic, Free-Range Chicken and Beef. Also make sure the beef you buy is Grass fed in order to get the most nutrition without any toxic residues of antibiotics, pesticides or growth hormones. The structure of growth hormones are very similar to that of Estrogen, and therefore Meat that is raised on these hormones and pesticides will increase the rate of Copper retention in the body. These compounds are also linked with a greater occurrence of Cancer and Liver disease. All toxins affect the Liver first and foremost and Estrogen compounds have been shown to increase the occurrence and rate of growth of cancer cells. This is like the way a pregnant woman will become saturated with estrogen to help promote the growth of the fetus. When women become pregnant, their estrogen levels rise, greatly increasing the retention of Copper in the body. This Copper toxicity will pass through the placenta into the unborn child. So many children are being born with toxic levels of Copper and other Heavy Metals which were stored in the mother's body. This congenital (since birth) source of Copper toxicity is a huge factor in the higher incidence of Autism in children as well as ADD (attention deficit disorder) as well as teen depression, Bipolar, and even Schizophrenia. Instead of putting these children on dangerous drugs such as Ritalin, Wellbutrin, Prozac or Dexadrine and Aderall (Pharmaceutical Methamphetamines), we need to get them on a Nutritional Balancing program designed to address their root problem of Adrenal insuffiency and Copper or other Heavy Metal Toxicity, which is causing their minds to "Freak Out" and causing them such great mental and emotional disturbances. One if the best things to do is to increase Zinc and Magnesium levels to help calm the mind and nervous system. However, just taking Zinc alone can cause serious side effects as Zinc will cause a Copper dumping into the blood stream. Zinc can also depress serum Sodium levels which may lower your blood pressure and cause fatigue. I strongly recommend getting a Hair Mineral Analysis test. This non-invasive lab test evaluates the levels of Copper, Zinc, Sodium, Potassium, Calcium, Magnesium, Iron, Selenium, Chromium and other trace minerals along with Toxic Heavy Metals like Mercury, Cadmium, Aluminum, Lead, and Arsenic. These test results can help figure out the underlying causes of your Metabolic dysfunction which leads to Copper toxicity, Adrenal fatigue, and Thyroid problems. I can help to design a custom tailored Nutritional Balancing program with the help of the Hair Analysis results which focuses on utilizing Nutritional support to help aid your overall Metabolic functioning and Endocrine hormone function at the cellular levels to increase your Liver's ability to produce the Copper and metal binding proteins Ceruloplasmin, Metallothionein, Glutathione, Ferritin and other important Metal courier proteins. By balancing your Hair mineral levels and ratios, the Adrenal glands are strengthened, Zinc levels and bio-availability will rise, and the Liver will be able to produce adequate amoounts of Ceruloplasmin, Glutathione and Metallothioneine, which will help eliminate the Copper toxicity and also make the Copper available to the cells that need it. Meditating, practicing Qigong, and enjoying a relaxed and stress free lifestyle is also extremely important in recovering from Adrenal Fatigue and Copper Toxicity. Try to remember to breathe deeply and slowly and not react to every little stressor that you may encounter. Peace of mind is essential for Copper toxicity recovery. Punekar P, Sharma AK, Jain A. A Study of Thyroid Dysfunction in Cirrhosis of Liver and Correlation with Severity of Liver Disease. Indian J Endocrinol Metab. 2018 Sep-Oct;22(5):645-650. doi: 10.4103/ijem.IJEM_25_18. PubMed PMID: 30294575; PubMed Central PMCID: PMC6166553. GET NUTRITION AND HEALTH ARTICLES RIGHT IN YOUR INBOX!